Sometimes one conservatory style just won’t cut it. What happens when you love the long open space of a lean-to but are equally impressed by the gorgeous design of an Elizabethan roof? That’s where a harmony conservatory comes into play. 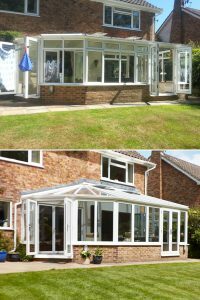 Mr and Mrs Matson in Kent knew they wanted to replace their more than 20 year-old conservatory, and when it came down to it opted for a blend of two styles: a garden room and a Victorian design. 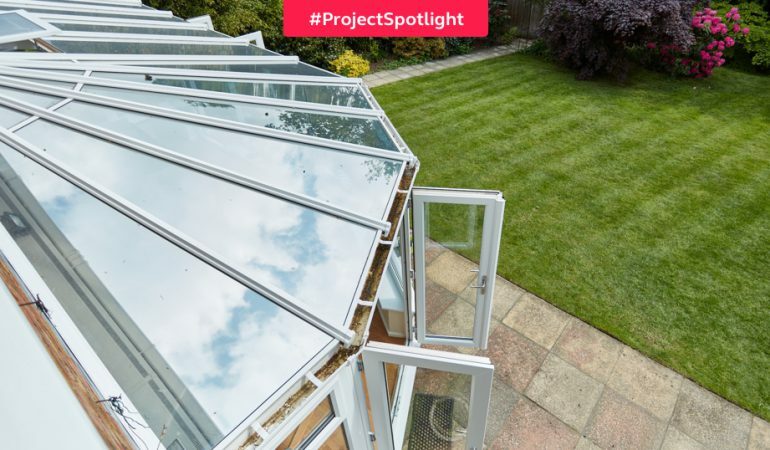 They’ve got all the space a garden room affords but with the light and stunning panels of a Victorian roof, all in white uPVC. Plus, they went for bi-fold doors to separate the conservatory from their dining room. It’s an expert blend of style, tradition and modernity that undoubtedly brightens up their garden. Q: Why did you decide to install a conservatory? A: We wanted to replace our previous one, as it was more than 20 years old. A: At a previous property we lived at, we had Anglian windows installed and were pleased. Q: Can you tell us if or how the visit from the sales representative helped you in your decision? A: Our sales representative was exceptional. He knew what he was talking about and was very accommodating. Q: What’s your opinion of the Anglian service and installation you received? Did you have any particular concerns or requirements? A: There was a slight hiccup in the middle, however, Anglian dealt with it efficiently. Everyone that stepped into our house was wonderful and very knowledgeable. Everyone—in particular our sales representative—knew what they were talking about. Q: What’s the BEST thing about your new installation and what main differences have you noticed since having your installation? I.e., reduction in energy bills, is your home warmer, has the sound been reduced, etc. A: The best thing is that our conservatory is more “useable”. It stays warmer and is easier to heat. 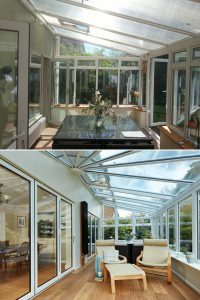 The internal bi-fold doors are also an asset to the conservatory, as they really open up the dining room. 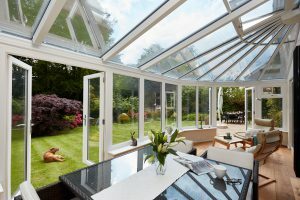 Sometimes, you shouldn’t have to choose between conservatory styles – why have one when you can have two? 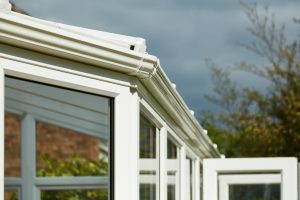 Check out all the different ways you can mix and match conservatory designs here.